Procycles Service Centers are located in Hornsby, on Sydney’s Upper North Shore and at St Peters, close to Sydney’s CBD, Eastern Suburbs and Inner West. We specialise in the brands we sell and are experts in servicing and maintaining BMW, KTM and Suzuki motorcycles. 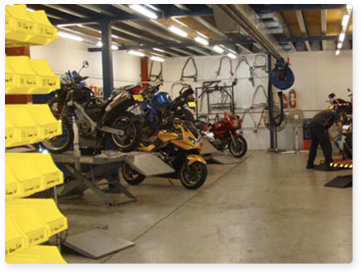 However we have the capacity and expertise to work on any motorcycle regardless of make or age. We open early for your convenience, six days a week. Most small jobs can be done while you wait, including Registration Inspections, Tyre Fitting and Preliminary diagnostics. Procycles offer a competitive Towing Service to or from our Service Centres, anywhere within the Sydney metropolitan area, for a total cost of $65. So if your bike breaks down or you can’t ride it, just give us a call. We carry a full range of tyres to suit most models and we provide a FREE Fitting Service, While You Wait, Six Days a Week, for tyres purchased from Procycles. Procycles can carry out all types of Insurance work including body/panelÂ repairs and painting. You can trust us to return your damaged bike back to pristine condition, using genuine parts and assembly by qualified technicians. Our Hornsby Service Centre specializes in restoration work. 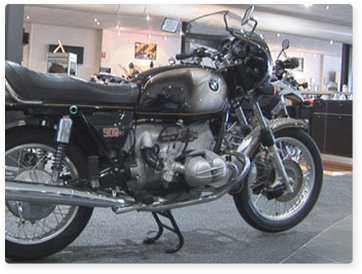 Including meticulous research to bring the bike to its original state as it left the factory. Please phone ahead or just call in and see us at either location. You are welcome anytime.